is often the first reaction people have. 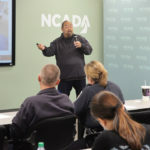 In the instance where 911 is called in response to an opioid related overdose, it is critical that emergency responders be trained and equipped to administer naloxone. Simply put, when emergency responders have naloxone on hand, they are able to save lives. Naloxone is a medication that quickly reverses the effects of an opioid overdose, usually within 1-3 minutes. It can be injected under the skin or into muscle or a vein. A nasal spray version of naloxone is also available. Naloxone does not have harmful side effects, get people “high,” or reverse overdoses caused by substances other than opioids. 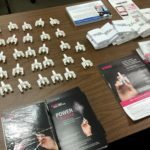 Naloxone has been in use in the medical field for decades, but as of August 2014 it is available to all emergency responders in Missouri. 4. Give 2nd dose of naloxone if after 2-3 minutes the first dose was not successful* Prepare: In some cases, naloxone can precipitate withdrawals among those with physical dependence. *For additional information see our Resources Page or access the following links for resources for Overdose Prevention and Harm Reduction, Opioid Use Disorder Treatment, Research and Data, and Legislation and Advocacy. Is the overdose reporting system mandatory? 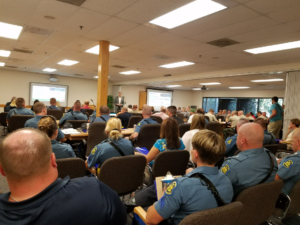 Although field reports are not yet mandatory, their use has been requested by the Missouri Department of Public Safety. Tracking these incidents will inform state-wide prevention and intervention efforts and allow us to most effectively support our law enforcement and first responders. As such, each police department will have different protocols regarding filling out the MO-HOPE field report. Why did the email state that these reports must be submitted within 12 hours of the overdose event? We strongly recommend entering the field report as soon as possible to avoid forgetting and to ensure accurate information regarding the overdose event. Within 12 hours is ideal, but we understand that that may not always be possible/plausible to do so, therefore personnel can still fill out the field report after 12 hours has passed. What is being done with the data collected through the field reports? The data collected through the MO-HOPE field report will help us better understand overdoses are occurring, naloxone administration patterns, and success rates of overdose reversal attempts. The data will be utilized in a few ways. Primarily, the MO-HOPE project will use these numbers to ensure we are training and equipping those most likely to respond to opioid overdose events to the best of our abilities. Additionally, this information will be used to help develop future programs and obtain funding for grants. Aggregated information is available to the public on our website (under ‘Results’) to help other programs and departments gain insight to how opioid overdoses have impacted communities across Missouri, and to use that information to implement or strengthen efforts to combat the opioid crisis. Is the field report confidential? 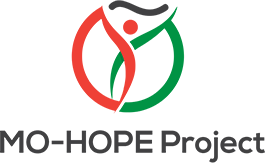 The field reports are submitted through REDCap, which is a secure database that is only accessible to the MO-HOPE evaluation team. No personal information is collected and all reports will remain confidential.